Although women have participated in a way or another in previous wars before the 20th century, no war before has had so much impact on their lives and the society as World War I. While not all changes brought by the war to women’s life were permanent, some such as rights to vote and more work opportunities were to stay. Because more European soldiers participated in the war than Americans, the pressure was felt higher in European countries. 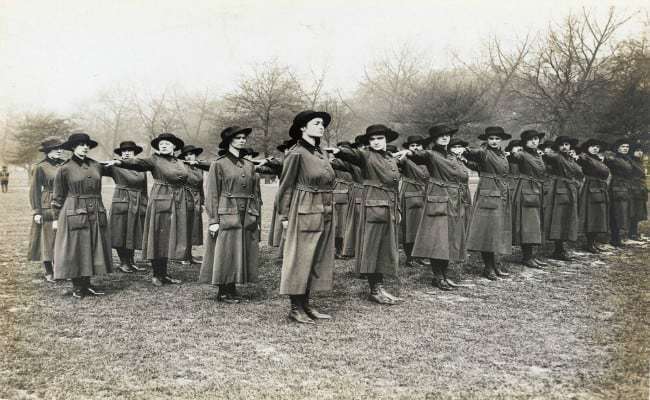 Besides working in their previous employment, new opportunities opened for women, and they took over men-only jobs such the police, fundraising activities, and even joined non-combatant positions in the military or nursing soldiers on the battlefields. Some were just volunteers doing some other tasks, especially in the textile industry. Many organizations were created to take in volunteers and workers to replace men who were required in the battlefield to provide support to others. Wages also increased, and the suffrage movement gathered enough support to pass national voting rights for women. While all these developments can be said to have boosted women’s morale. Not all of the opportunities the war provided to women were entirely positive. Some working conditions, particularly in the industries, were hazardous to their health. Also, women were also still required to carry out their domestic chores regardless of their contribution during the war. Considering all these situations, you can explore these interesting facts about women’s incredible contributions during World War I. 12. Women’s Presence in the Workforce more than Doubled. Before World War I, most women worked as chain markers, in farms, textile factories or just concentrated on the domestic jobs. Although some were working before the war started in 1914, women’s participation during the war increased from about 20% to more than 40%, with more than 600,000 in the U.K and 3 million in the U.S employed in textile, munitions and food industries by 1918. Since ammunition, food, and other supplies were needed in vast quantities, and more men were needed on the battlefields, women were called to take on their positions, which many were forbidden before. They worked in coal mines, labs, mills, army, offices, making glass, and as nurses, police officers, and bus and ambulance drivers, among others. They worked alongside their male counterparts making shells, farming, policing and doing other manual labors. However, the long hours at work and illness put pressure on their domestic chores and children, prompting the government to fund day nurseries. As the industries and the military got flooded, new jobs were created back home forcing the women to seek the opportunities when men returned from war as they needed to carry out their domestic chores.